Chronic knee pain can really make your life a misery, especially if you feel hopeless or you think there is nothing you can do to lessen it. Well, the good news is that you don’t have to just sit back and take it. There are a number of approaches you can try that will surely have some kind of positive affect on your knees, and many of them can be done right in your own home. From exercises to herbal remedies and alternative therapy, here are out top tips on how to manage your knee pain. Being overweight can put a lot of excess train on your knees, which may be the cause of the pain itself or a serious factor adding to it. If you are overweight and have knee pain, we recommend consulting with your doctor or a nutritionist in order to bring your weight under control. Weight management can involve a number of different elements, such as changes in diet, exercises and even looking into lifestyle habits like alcohol consumption and sleep patterns. It won’ just help you’re knee pain, but it will bring a lot of positive changes to your health overall. For some people, regular exercise and stretching helps relieve the pain in their knees. However, for others, this can sometimes make things worse. We recommend you discuss this with your doctor and try to find out something that works well for you. Many people with joint pain find that swimming helps them exercise without the impact and pressure on the joints that running or jogging brings. Just remember, don’t continue doing a certain exercise if it makes things worse. There’s no shame in using a crutch or a cane when you walk, especially if it takes some of the pressure off and gives your a break from the pain. Knee splints and knee braces might also help as they can give you the extra support that might be necessary. Swallow your pride and give it a try. 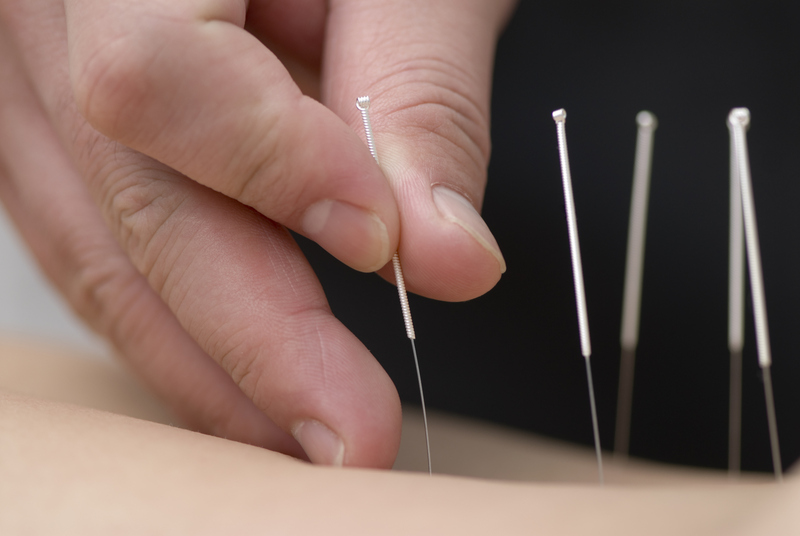 Although many of use are not too keen on being turned into human pincushions, this traditional form of Chinese medicine is now widely accepted and can help with pain relief, so if you do have chronic knee pain, it might be worth a try. As far as we know, though, acupuncture just helps with the pain, and it won’t address the cases behind your sore knees. The impact from walking often makes knee pain much more unbearable, so you should do everything you can in order to take the strain off. Make sure you were good shoes with soles that absorb a lot of the impact, and you can also chat with your doctor about finding some good cushioned insoles. Hopefully, both of these will take some of the stress of walking of your knees.